There are some interesting changes that Ubuntu‘s new Unity interface, and Gnome’s new version 3 bring to the table. I say “interesting” because if you look around the internet enough, you’ll find quite a mix of opinions on both. Of course I’m interested in what all the discussion is about. I’ve decided to commit to working with each for one week so see what thoughts I come away with. The reason for a week is I don’t want to come up with impressions after working only a few hours with any particular environment, then hastily come to conclusions based on those impressions. To level set what my Linux background is, and where I’m coming from is that I’ve played with plenty of Linux distros, usually ones based on Gnome 2.x, and therefore primarily what I am used to. I would not label myself as any sort of Linux expert, but do consider myself reasonably proficient. 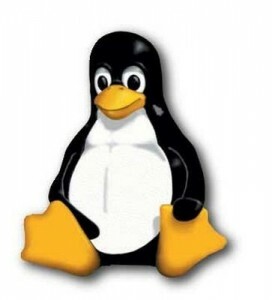 Most of my knowledge of Linux was self taught until recently when I took a one week class in Linux Fundamentals in February, and another one week course in Linux Administration a few weeks ago. The product I support is a Storage Virtualization solution, in which the management server and the directors run Linux instances. So most of what I do in Linux for work is in the CLI. So back to Unity and Gnome 3. I downloaded the iso’s for both Ubuntu 11.04 and Fedora 15 and fired up VMWare Workstation. Installed each and… ugh. The main features for both Unity and Gnome 3 will not run as a VM (at least on my systems). So it looks like my first point of concern is the hardware requirements to run these environments the way they are intended. It appears as though you will need to run these on the bare metal. Luckily, I have a laptop that I did not have much data on, so it was pretty painless to wipe it and install these. Since last night I have Ubuntu 11.04 running Unity installed, from which I am writing this post. Next week I will wipe it and install Fedora 15. The test system in question is a Toshiba Satellite L505D-ES5025 (2.3 GHz AMD Turion II M520, 4GB RAM, 320GB HDD) that I have had just over a year. One other experiment I am doing since I will be running Linux on the hardware itself vs. a VM: I will be installing VMWare Player and will see what sort of experience I have with running Windows 7 as a VM. How did it go? Any updates?